Oral & Maxillofacial surgery is recognized as one of the nine specialties of dentistry by the American Dental Association (ADA). A regional specialist in this type of dentistry has experience and training in treating the anatomical areas of the mouth, face, jaws, skull, and the associated structures. The most common reason for needing oral surgery is wisdom tooth removal. At the Carson & Carson Dental offices in Oxnard & Camarillo, we offer a wide selection of pain free & gentle Oral Surgery treatments ranging from Dental Implants to Tooth Extraction. 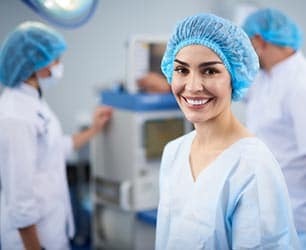 Licensed in Sleep Sedation Dentistry by the State of California Board of Dental Examiners, our oral surgeons are able to offer IM or IV Sedation to our patients. Call us today to schedule an appointment with the Oxnard Dentist with over 45 years of experience at Carson & Carson, DDS 1-805-983-0717. This is a surgical extraction of wisdom teeth. It is difficult to see the surgery because it is so far back in the mouth. Looking to see more of our work? 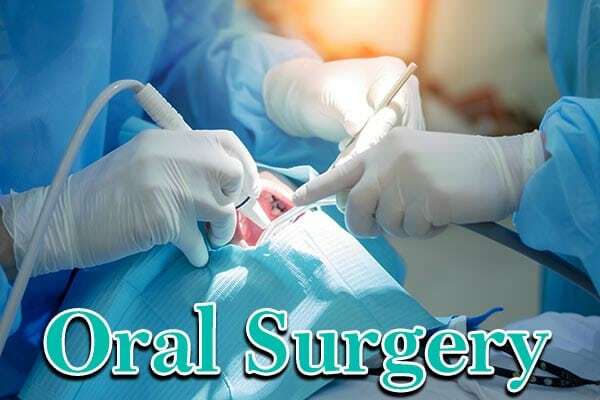 Check out our page on oral surgery case studies to see how different situations are handled. With over 60 years of combined experience, the oral surgeons of Carson & Carson DDS are well prepared to correct your dental discomforts should they require oral surgery. For questions about appointments or our oral surgery process, contact us today at (805) 983-0717.